Amp Jam at Alex's Place welcomes local teens. 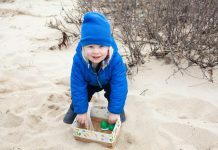 The Alexandra Gagnon Teen Center, better known as Alex’s Place, at the Martha’s Vineyard YMCA has always been intended as a safe place where local teens can commune, learn, and have a good time. As such, the environment and programming at Alex’s Place are geared toward giving teens the space and freedom they need to fulfil this mission, and the center’s most recent initiative works in perfect harmony with its goal. 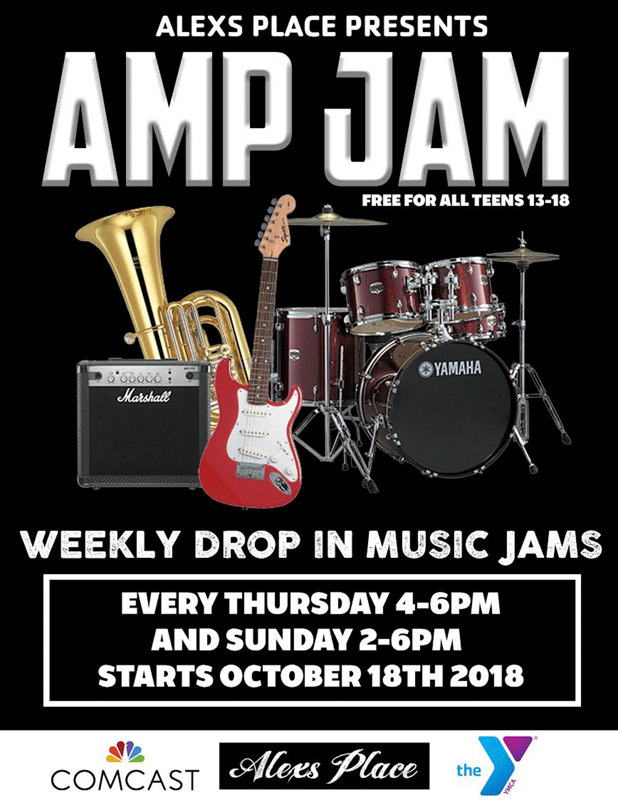 Amp Jam is a brand-new weekly program in which local teens can utilize Alex’s Place resources, like instruments, recording equipment, and a fully functioning stage, to hone their musical skills or simply explore sounds with their friends. Participants are encouraged to bring their personal instruments, and are also welcome to use any of the many pieces of gear — guitars, basses, drums, keyboards, and amplifiers, to name a few — that Alex’s Place has to offer. Drinks and snacks are provided as participants are encouraged to “check out the space, hang out with awesome local artists, jam with friends and foes, or just chill, talk shop, and admire our nifty stage and studio setup.” The free program, open to all teens from ages 13 to 18, will run until Dec. 16, and takes place every Thursday from 4 to 6 pm and Sunday from 2 to 6 pm. In order to understand the impact that the Amp Jam hopes to have, it is important to appreciate the principles behind Alex’s Place. A 5,000-square-foot space spanning two floors, Alex’s Place was created by the Alexandra Gagnon Foundation in 2010. The foundation was developed in memory of Alexandra Gagnon, who is described on the foundation’s website as a “natural leader and captivating storyteller.” Her biography continues, “During her short lifetime, Alexandra explored her extraordinary talents, passions, and enthusiasm for life with gusto.” In honoring her legacy, Alex’s Place is dedicated to helping all Island teens foster their own talents and passions in a safe, drug- and alcohol-free environment. By the end of 2016, the foundation had awarded over $2,000,000 to Island nonprofits, and its support of the teen center at the YMCA continues. In addition to pool tables, high-end computers, and a full kitchen, the Base at Alex’s Place is a performing arts space including a black box theater with professional sound and lighting, and Studio 57 is a top-of-the-line facility where teens can record their work. Embedded within the free-form quality of Amp Jam is the notion that all creative expression is welcome. “We’d love to have a group of kids to come in and do spoken word and shoot a video,” says Disessa. In addition to the jam, the space is open to band rehearsals free of charge by appointment. The Base is also opening up to local musicians and artists for concerts and live performances. After a $150 fee that will cover sound, a person to work the door, and lighting, all profits generated will go straight to the performers. 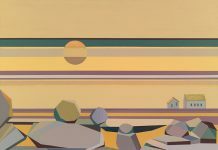 In this way, the organization seeks not only to help foster creativity, but also to dedicate a platform for those who wish to share their talents with the community. Amp Jam at Alex’s Place is open for free to all Island teens on Thursdays from 4 to 6 pm and Sundays from 2 to 6 pm until Dec. 16.